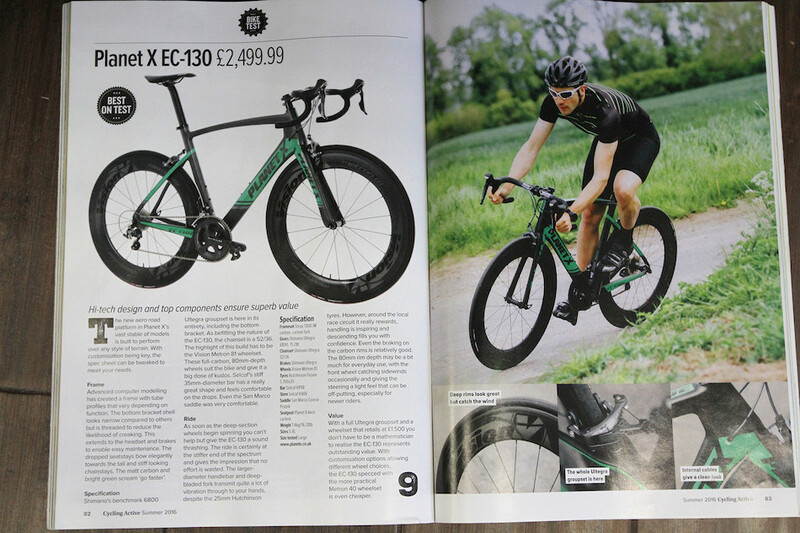 Cycling Weekly awarded the EC-130E their coveted Aero Road Bike Of The Year Award when it was first launched stating that “If you’re after an aero road bike for riding and racing on flat and rolling terrain, then there is no better bike out there for the price...” The EC-130E snatched first place beating the much more expensive Canyon Aeroad CF SLX8.0, Scott Foil 10 and Bianchi Oltre XR4 in the process. 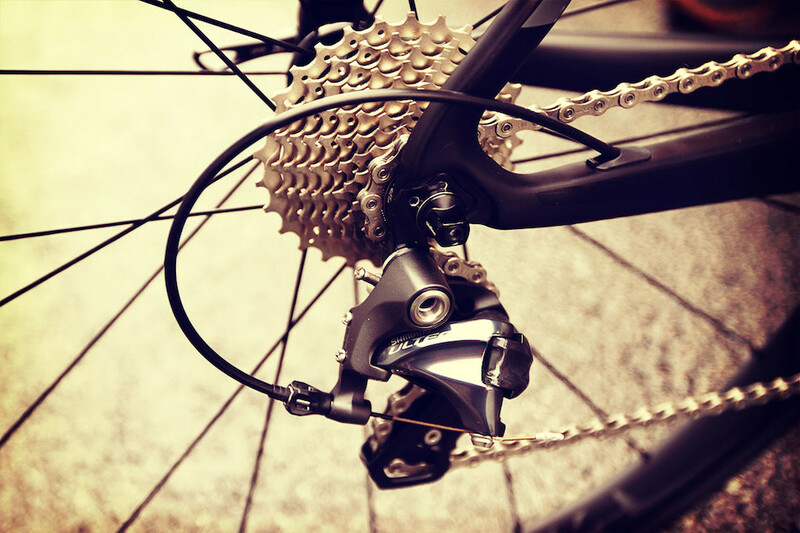 Competitive cyclists know that marginal gains equal improved performance. 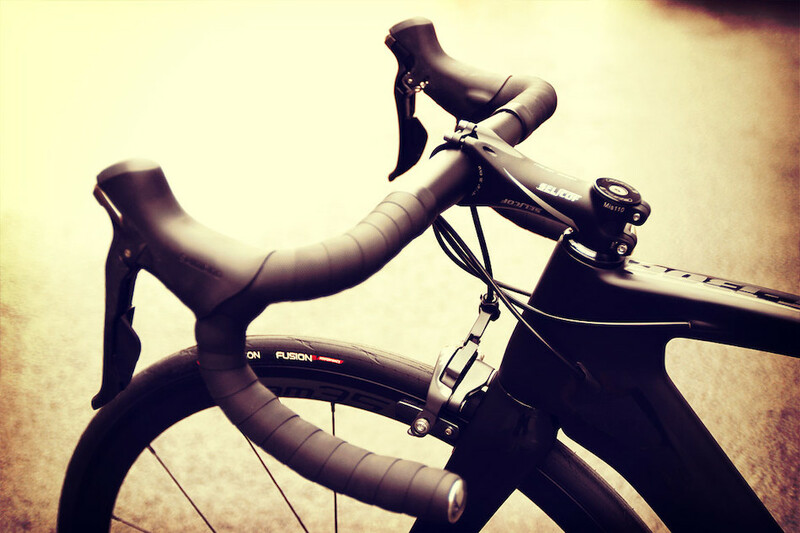 One of the biggest gains you can make is to adopt a more effective and aerodynamic riding position. 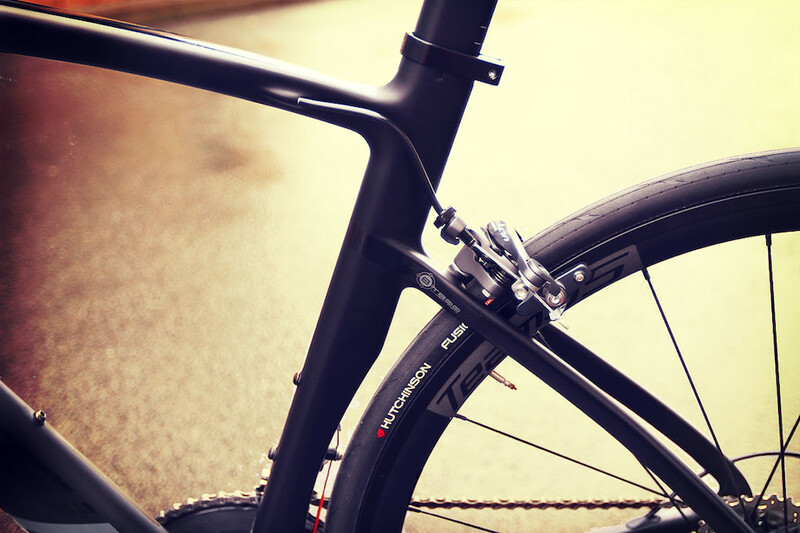 Our new EC-130E Carbon Aero Road Bike delivers a huge slice of aero performance in a race-ready package. 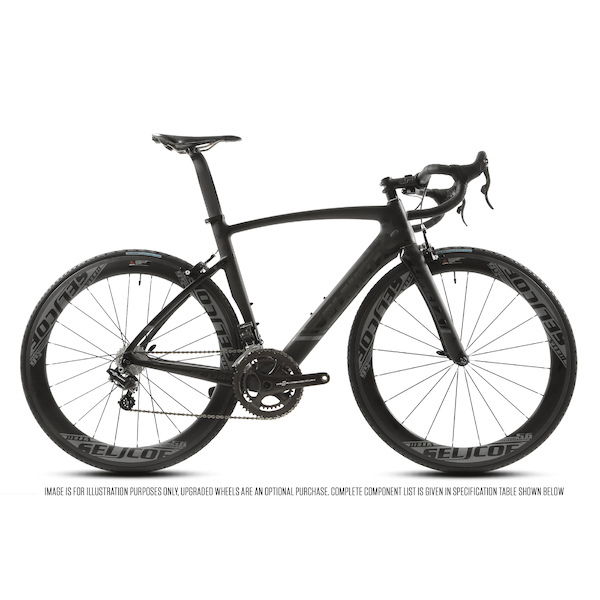 Serious competitors will benefit from the EC-130E, recognising this performer is built to race and ready to dish out punishment to anyone who dares to challenge for supremacy. 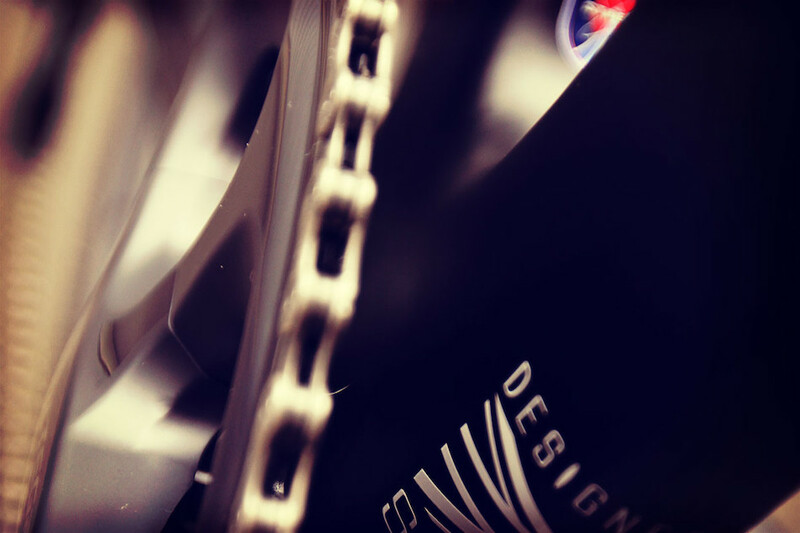 Advanced Aero Design ensures that the EC-130-E is the most efficient road bike we've ever created. 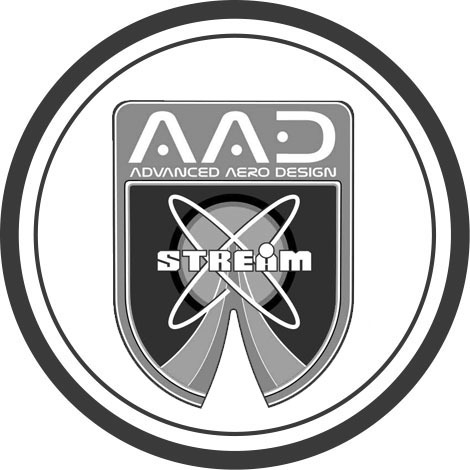 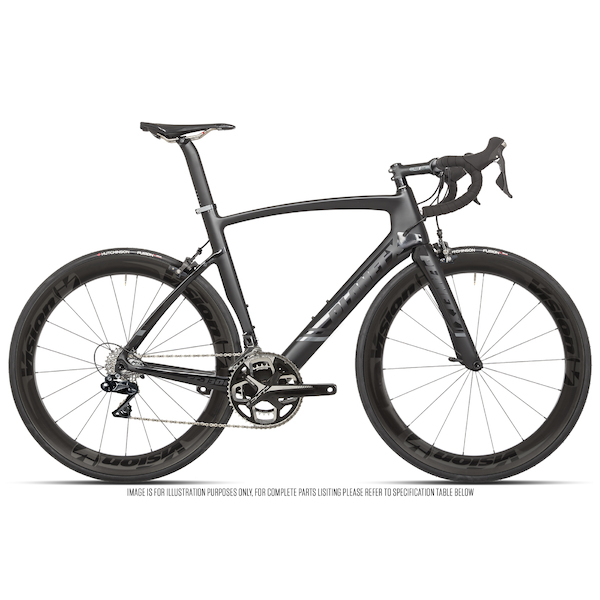 Rigorous, computer frame design analysis and computational fluid dynamics are supported by on-bike testing to help maximise every watt. 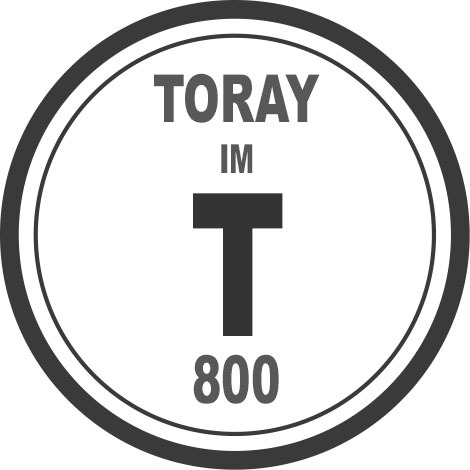 Toray's T800 IM carbon fibre forms the backbone of the EC-130-E; we reinforce the rear triangle with selected HM carbon fibre to create a remarkable combination of stiffness and reduced weight that will deliver season after season. 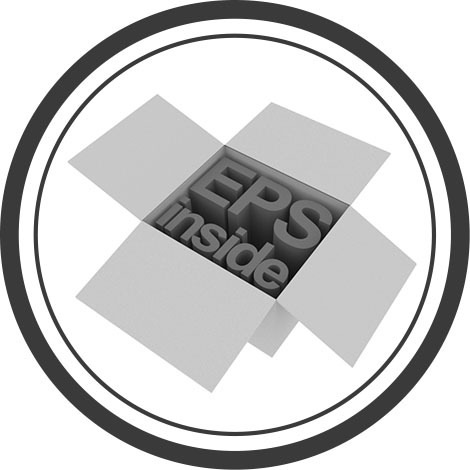 EPS inserts enhance the accuracy of the carbon fibre positioning in the mould. 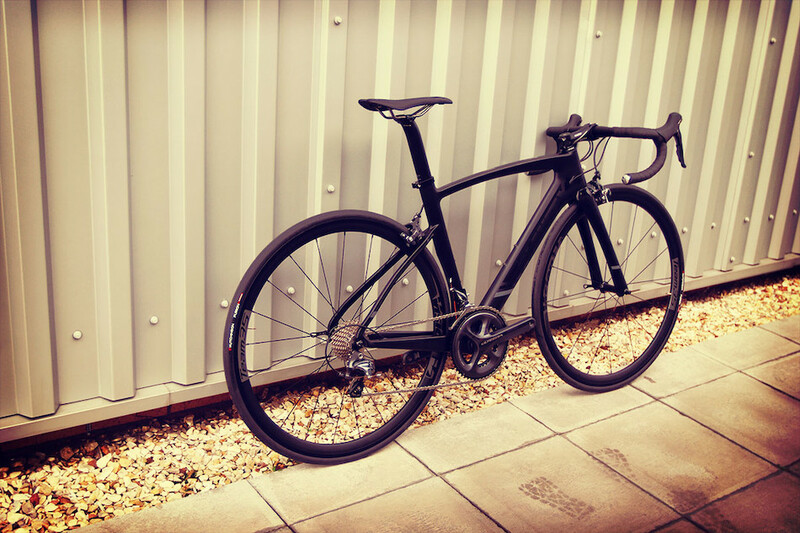 By supporting the carbon from inside we reduce fibre migration in the mould, eliminating wrinkles inside the frame tubes and giving you a stiffer and stronger frame. 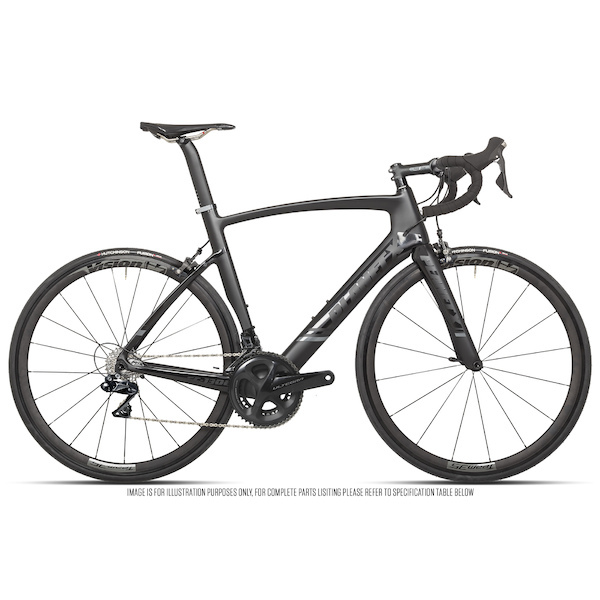 By carefully sculpting the bottom of the seat and down tubes and extending them right up to the edge of the BB shell we've created a frame of unmatched stiffness and pedaling efficiency. 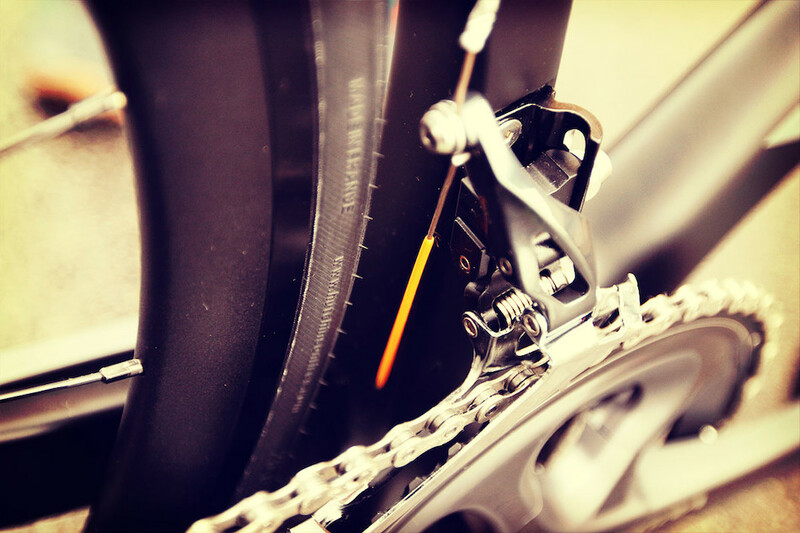 A serious race ready bike has to accept mechanical or electronic shifting. 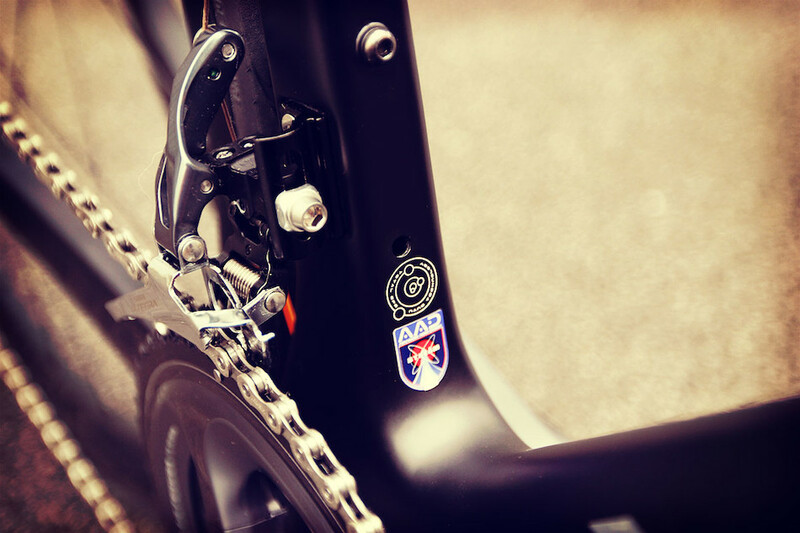 Our top-spec frames benefit from clear and fluid cable runs that allow you to get the maximum benefit from either type of shifting. 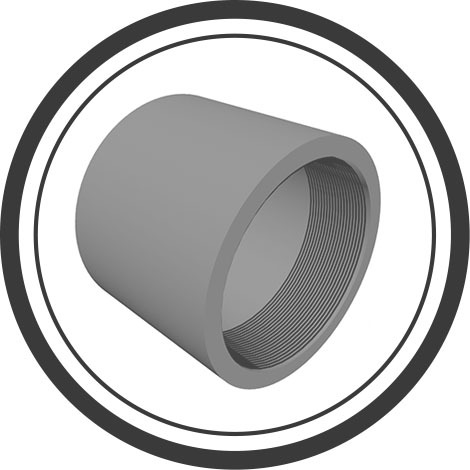 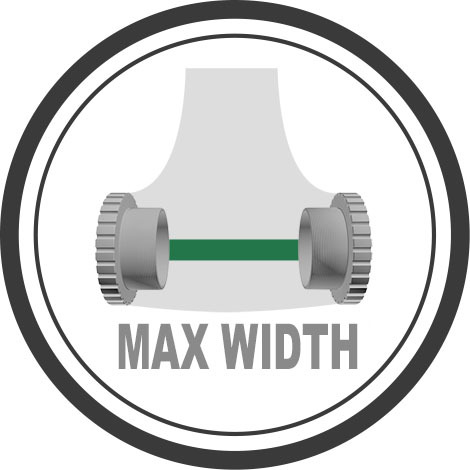 An oversized tapered headtube increases bearing surface area where you need it most. 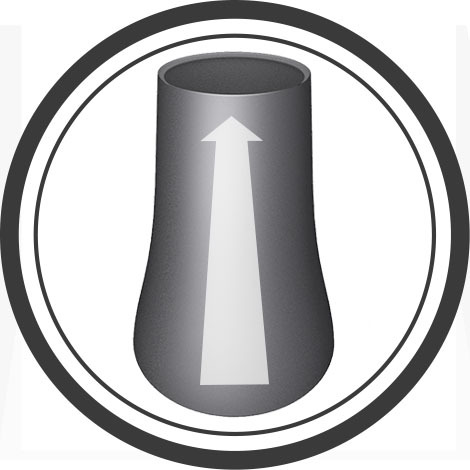 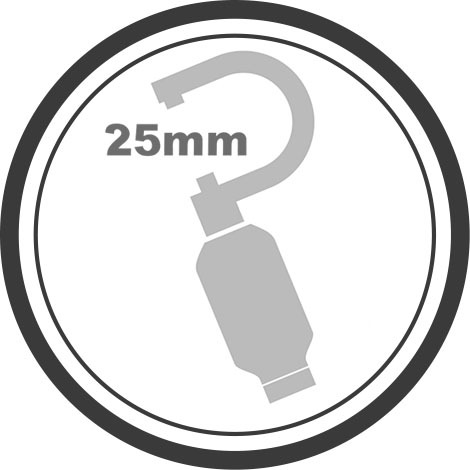 The larger tube area also helps to make a stiffer front triangle for improved steering accuracy. 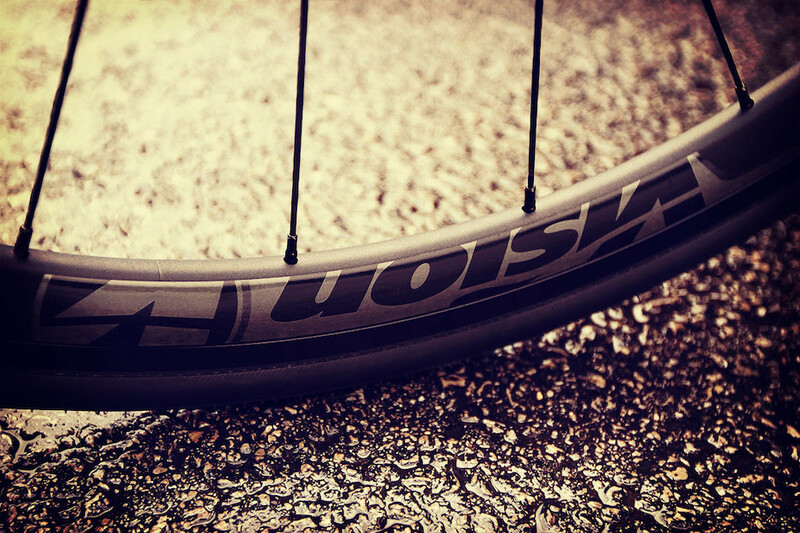 With enough tyre clearance to let you benefit from wider rim profiles and 25mm tyres for faster, smoother rolling over bumpy roads. 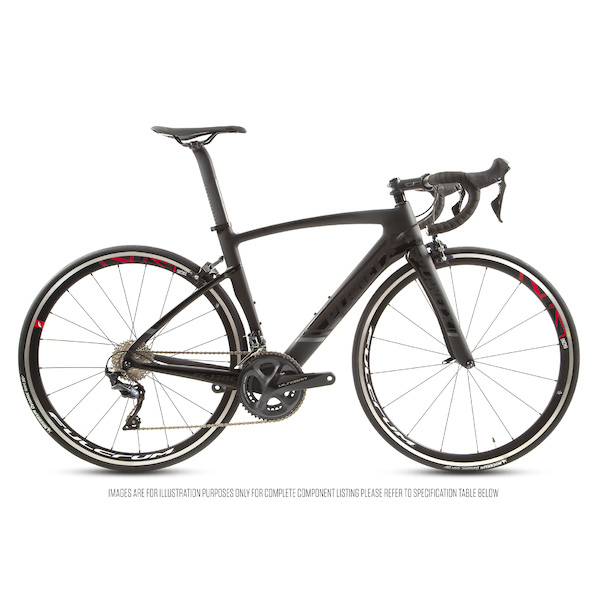 It all adds up to a faster and more comfortable bike that eats up the miles. 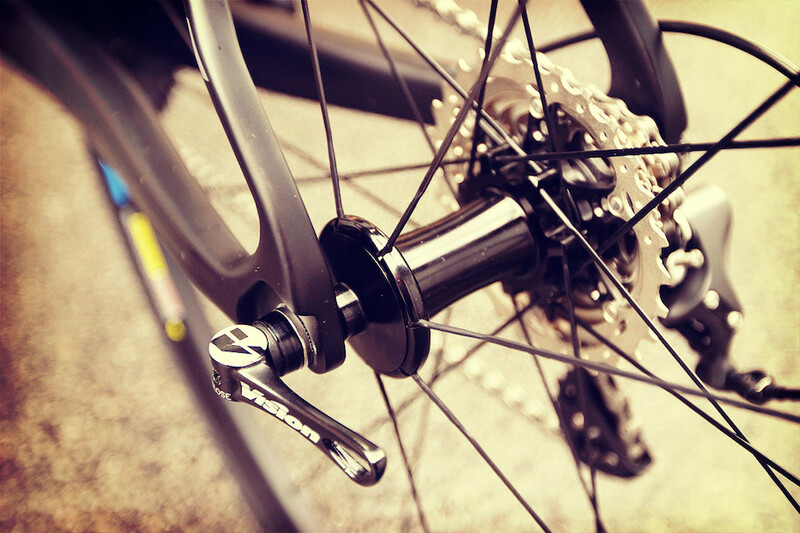 A press fit BB might help shave the weight off a frame but it's a false economy as the extra parts of the BB end up adding it back in. 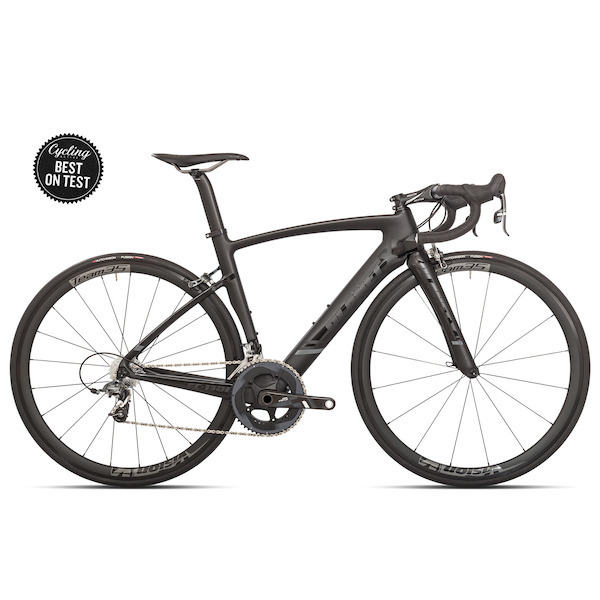 We'd rather give you a creak free BB that lasts and lasts than a headline frame weight figure that only tells half the story. 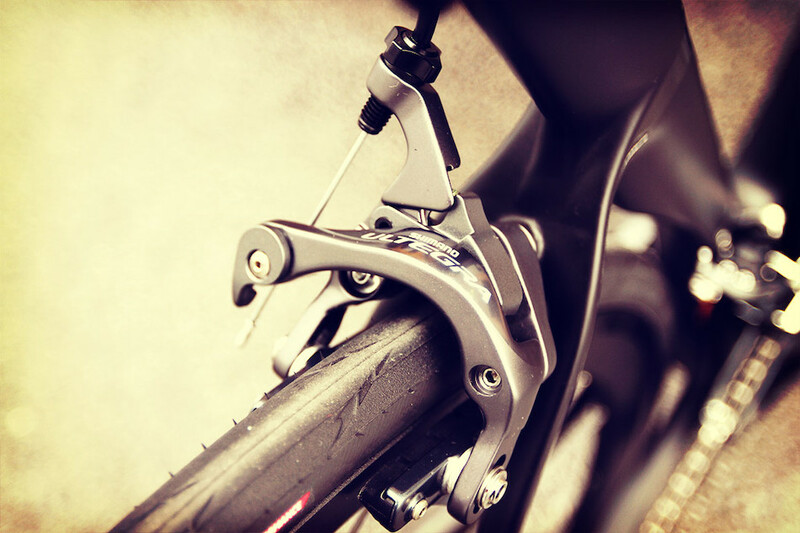 Correct frame size choice can also depend on a rider’s torso and limb length. 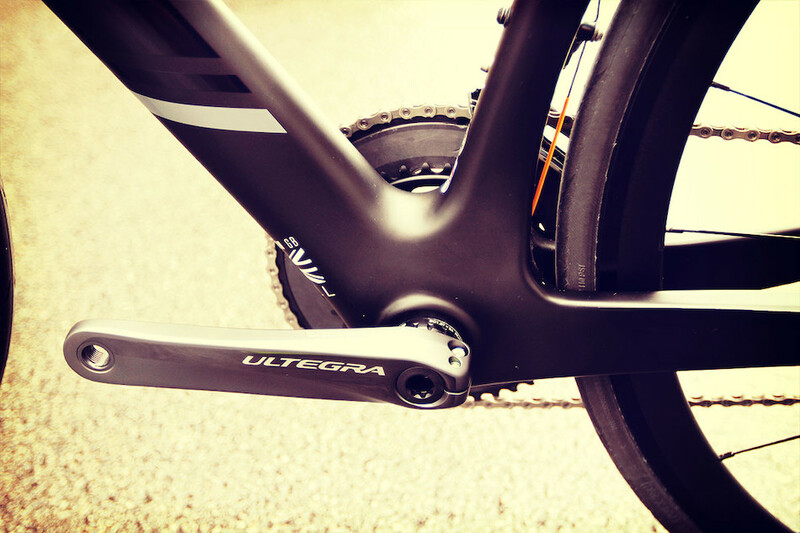 The EC-130-E is long in the top-tube relative to the seat tube length, please factor this into your size choice. 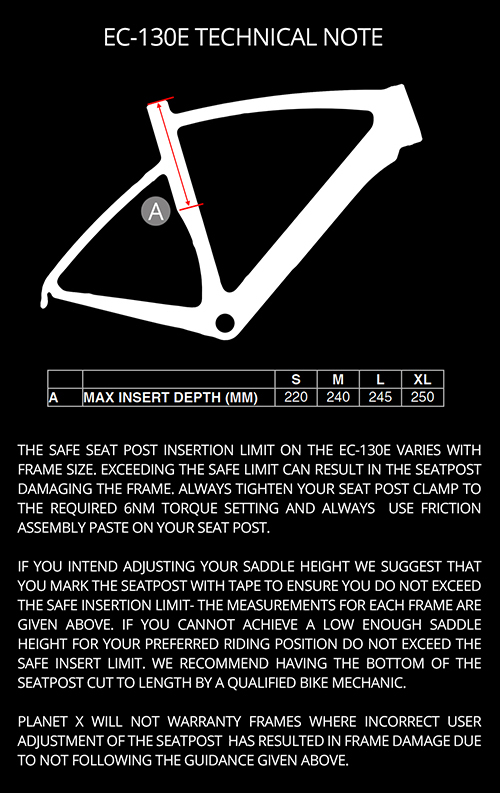 EC-130 Customer Safety Notice- Seatpost Insert Warning. 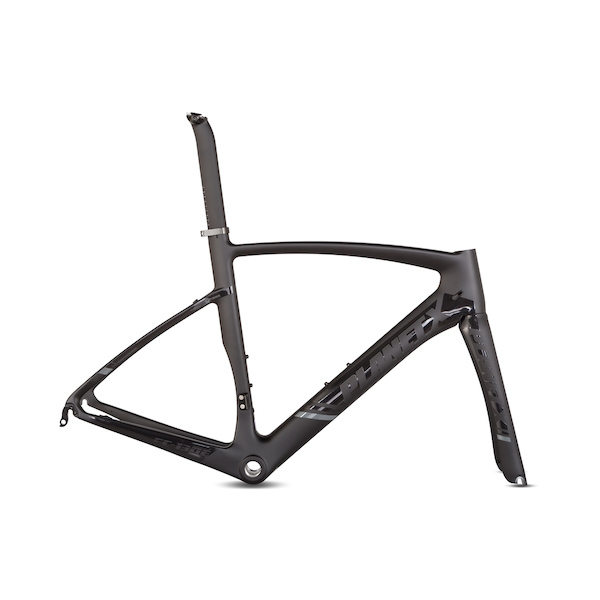 Frame Weight, Approx, (med) (g) 1348 Med. 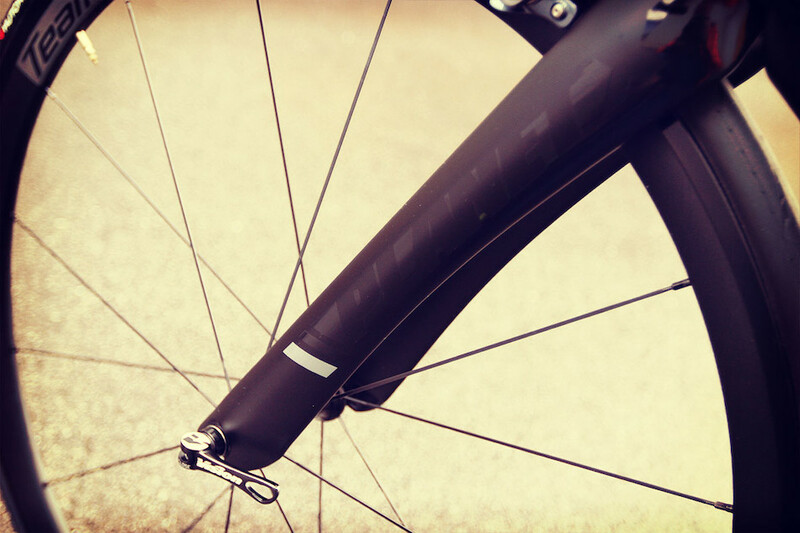 Fork Weight, uncut, (g) 425. 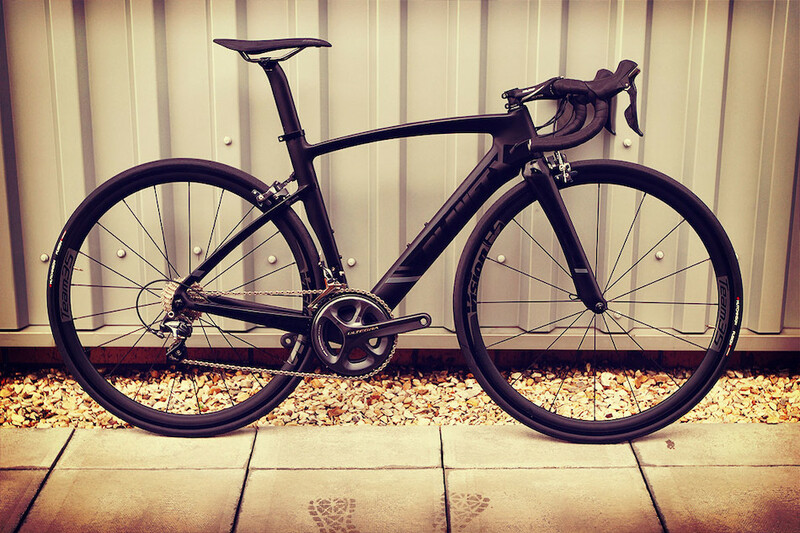 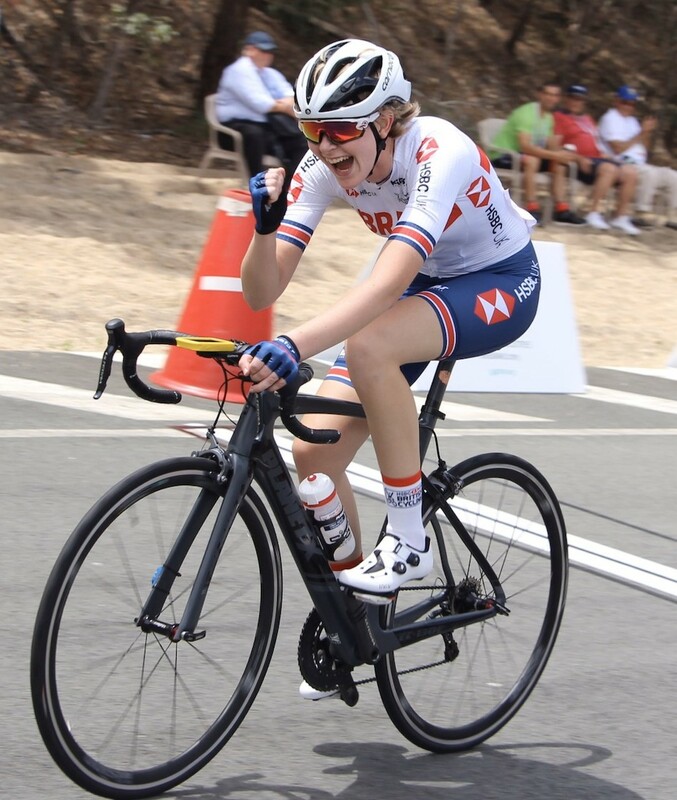 "If you're after an aero road bike for riding and racing on flat and rolling terrain, then there is no better bike out there for the price..."
"Hi-tech design and top notch components ensure superb value", and we can’t fault that description."